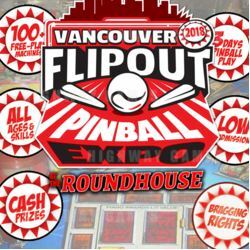 American Pinball have confirmed at the Vancouver Flipout Pinball Expo that their highly speculated second title will be Oktoberfest. The Chicago based company produced their first cabinet, Houdini in 2017. Oktoberfest is based on the German beer festival held annually from September to October. Joe Balcer, the game designer of Houdini lead the American Pinball seminar at the expo. He confirmed the upcoming game, with its official title being Oktoberfest Pinball On Tap (OPOT). He also showed black and white images of the game and one of the characters; Otto. American Pinball haven't indicated a release date for the new machine yet, however, in an interview in June 2018, the company stated most of the artwork had been completed with the rules and code coming not too soon afterwards.